30 Day Money Back Guarantee on All Cali White Products. Please contact us at hello@caliwhite.com, or via the Chat Button in the bottom right of your page, to let us know. We still want you to achieve the results you were hoping for, so we will work with you to come up with the best solution possible for your smile. We offer a 100% refund guarantee for all Cali White brand products. 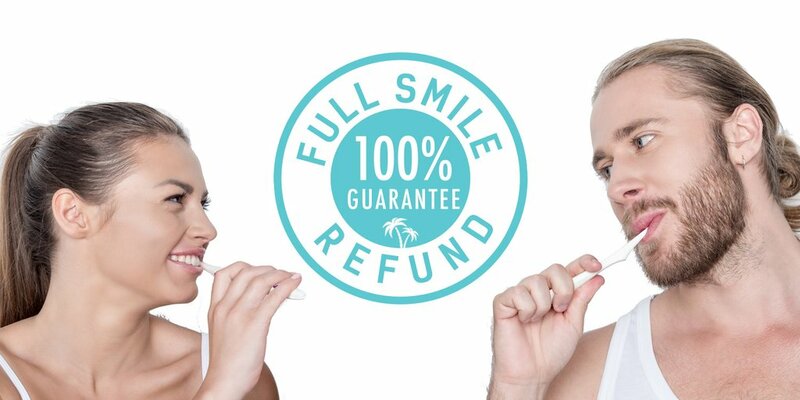 If you don't receive the expected results from your Cali White product, request a refund within 30 days of receiving your product, and one of our Smile Team members will help you with the process. If your treatment is unopened, and still in the condition you received it, you can also request a return or exchange for your product. *Please note: Auxiliary products such as our Whitening Gel Refill Kits, and our Replacement LED Activating Light and Universal Comfort Fit Tray, must be used with the Cali White products they were intended for. No refunds will be issued for these auxiliary products if they are used with other devices or products that have not been purchased from Cali White. Refunds are limited to one per customer. Please be conscious of this if you place another order. In orders containing multiple products, we will authorise the refund for the product responsible for the issue. Refunds must be requested within 30 Days of receiving your product. Please note: The shipping process can be rough on some packages. We try to mitigate this as much as possible but in some cases, the packaging may take a knock or two while in transit. This in no way affects the quality or effectiveness of the product inside.